Over the last few years she has proved she has a very special voice that is full of confidence and finds her spitting rhymes with real narrative and panache. She distills the world around her into compelling tracks and is a multi talented live performer who has also been in films such as Attack The Block, popular BBC drama Waterloo Road and the BBC’s critically acclaimed Secrets, where the episode in which she appeared racked up the highest viewing figures. As such there are few better young artists to provide commentary on modern London life than her. 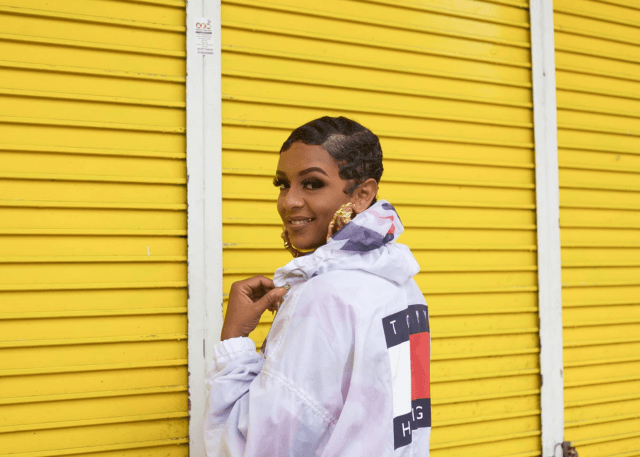 Songs of hers such as ‘Hood Swag’ got picked up on Radio 1 by the likes of Fearne Cotton and her debut EP The First Paige came together with collaborations from Princess Nyah and top UK MC Lady Leshurr. A follow up was more strutted but just as urban, with humour and charisma characterising everything she does. She has covered Frank Ocean’s ‘Swim Good’ and continues to serve up music with thick bass, soulful injections and lyrical punch. Paigey Cakey has toured Europe, playing gigs with London peer Lady Leshurr, as well as playing slots at events like the Hackney Weekender. She has performed on stage as support for Lil Kim, Eve, The Game, Azealia Banks, Dappy, So Solid Crew, Krept and Konan, Stormzy and Geko and has sold out two launch parties in a matter of days in 2013-14, with support from major sign and unsigned artists. She has also supported Ky-Mani Marley, Capleton and Busy Signal at Europe’s biggest reggae festival in Bratislava, Uprising Festival. She carried out a successful schools tour of over 20 school across the country, and her considerable influence on young people means she is continually requested for similar shows. Despite being in her early twenties, it is easy to see why Paigey Cakey has made such an impact.